Join us on February 18th as the Allouez Village Big Band presents “Once Upon a Time….We Danced Until the Cows Came Home”. 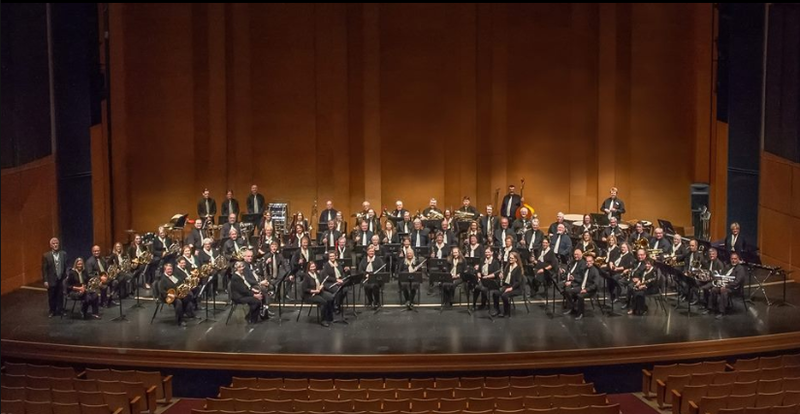 This concert will feature the Allouez Village Big Band – a 20-piece ensemble complete with singers. This year, we are also going to feature dancers! One of our vocal soloists for the concert will be Sarah Hibbard. Sarah’s debut to performing was a disheveled production of Annie on her back porch at the age of 5 with her sisters Amy and Kerri. She is now thrilled to have opportunities to perform on professional stages across the state. Sarah is a Howard-Suamico native who began taking music and theatre lessons at a young age. After graduating from Bay Port High School, she continued to study her passion for performing at Edgewood College in Madison. A few years later, she took her fondness for knowledge to St. Norbert College and obtained her Bachelor of Science degree in Biology, Chemistry, and Mathematics. There, she regularly performed with the Knights on Broadway, The Abbey Singers, and Knight Theatre. Sarah is a cast member of Let Me Be Frank Productions and also performs with The Pink Floyd Tribute Band: Project Pink, St. Norbert College Summer Stage, and individually at weddings and special events. She works at Heid Music as the Executive Assistant and Donations Coordinator and teaches music and theatre lessons at Studio 12 (and currently accepting new students!). We’re also going to be featuring singers and dancers from Studio 12 and The Dance Company. The concert is being sponsored by Studio 12 and The Dance Company. It’s through their generous support that we are able to offer free admission to the concert. Doors to the Meyer open at 6:00 and the concert is at 7:00. Hope to see you there!